Destrier is an historical term for a knight's war horse. When not fighting they were used to carry war gear. William Penn brought them into his Pennsylvania colony in the early 1700s for use as draft horses. Due to cross breeding, they are now extinct. A destrier is an historical term for a knight's war horse. The term destrier is derived from the Vulgar Latin 'dextrarius,' meaning right-hand. The Destrier was usually an ungelded stallion, raised from foal specifically for the needs of war, and would not shy at loud noises or in the presence of armed men. The most famous depictions of destriers is on the Bayeux Tapestry, where horses of roughly 14-16 hands high can be seen being used as Norman mounts. The destrier was specifically for war use- when not fighting the Norman would utilize a sumpter horse to carry his spare war gear and a palfrey to ride long distances on- the destrier, despite being powerful, lacked endurance. There are many theories as to what "type" and size destriers attained, though it now seems clear they were not enormous draft types. Equestrian statues in Italy suggest a "Spanish" style of horse that today would be referred to as Baroque. Modern attempts to reproduce destriers usually involve crossing a lighter, more athletic horse with something heavier. One example is the "Spanish Norman," bred by crossing a Percheron with an Andalusian. Modern estimates put the heights at no more than 16 hands, though with a strong and heavy physique. 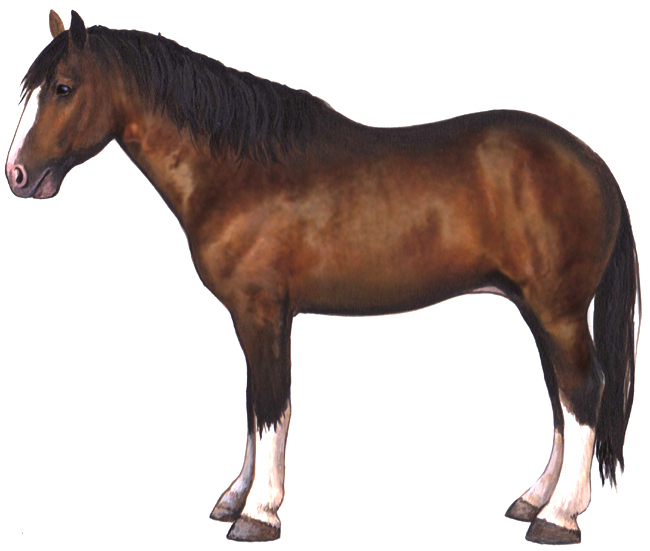 Northern European depictions seem to suggest a heavy version of the modern quarter horse (actual quarter horses were not bred in the middle ages). The Friesian horse, 14.2 to 17 hands high, is said to have been used as destrier in medieval times in Northern Europe. Due to its heavy, muscular physique today's Friesian is not suited to aerobic sports like all-out racing, but it is an excellent dressage and student horse famous for its imposing presence and spectacular trot. 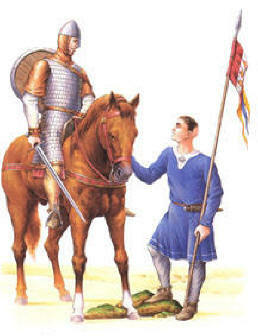 When harnesses (plate armor) fell out of use, Andalusian blood was added to the Friesian lighten its weight. The destrier was bred to not only hold an armored knight along with its own armor, it was bred for shock combat. Shock combat was the idea during the Middle Ages to literally mow down the enemy. 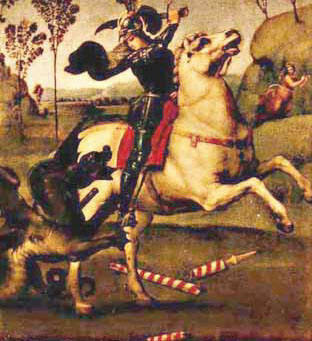 When used with the couched lance, the destrier-mounted knight could inflict extreme damage. It was often said that destriers would die for their owners. They were able to bear incredible pain from arrow, sword, spear wounds and other types of wounds. Even though they had on very heavy armor, destriers were sometimes trained to rear up and fight like "boxers".